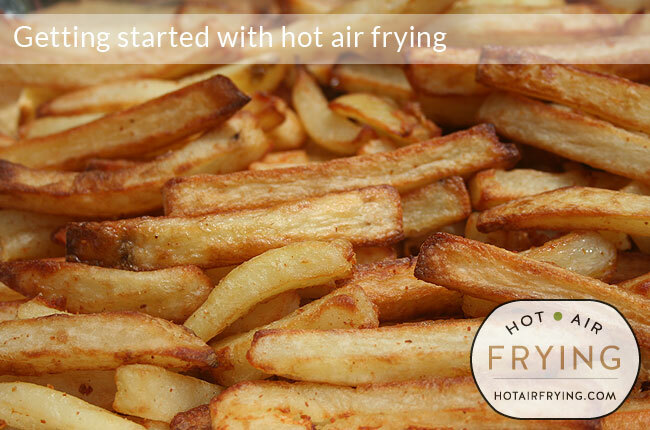 Are you starting to wonder if hot air frying is for you? Here’s some thoughts so far on how to proceed further in your thinking. Have a look at some of the recipes being made and things being done with food through air frying, and see if that appeals to you. Be aware that there is a fan running in these machines to produce the forced, hot air, usually about as loud as a microwave oven. We know of two or three people who returned theirs to the store right away because they deemed the fan noise unacceptable. It will all depend on how sensitive you are to the sound, or if you are able to place it somewhere somewhat out of earshot. You may decide you are just as happy with oven-baked food; if so, you should proceed no further! If however the food and convenience appeals so far, then examine the “types” of models being made and decide which type appeals most to you. If Sweet Potato fries are a must-have feature for you, then you need to look either at a basket-type air fryer, or look at paddle types such as Actifry Snacking, Actifry 2-in-1 or Delonghi Multifry which have special accommodations for more delicate foods. If the ability to make stir fries, curries and risottos are important for you, then you probably should look at the paddle-type category. Check out the prices and features on machines in the category and size you are thinking about, see which appeals to you, and then do an internet search to check on the reliability factor of those particular machines. Start watching for your chosen machine to go on sale, if you can wait! Try to buy from a place where you can purchase an extended warranty. Can you think of any points we should add for people in the above list? Let us know in the comments below please. Directions for what air fryer exactly? There’s close to a hundred now! NuWave Oven: Mini White Infrared, which I bought it at a thrift store, came with no instructions but is exactly like the photo on this website. Where can I get directions for it? the numbers (buttons) 1-10 do not tell me how hot that is nor what setting I should cook, for example, frozen tater tots or a chicken breast or hamburger patty. Start button, cook time, etc. exactly the same as the photo here: https://www.hotairfrying.com/nuwave-oven-mini-white-infrared. all is the exact same as that photo. Small and probably just right for me and hubby, but I would like instructions.